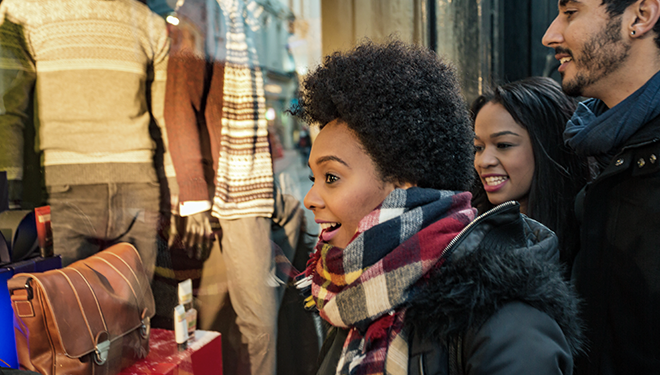 During the holiday season, smart retail marketers know that they have a unique asset that only they can put to use – customer data in their CRM. To boost holiday sales, CRM data can help grow every retailer’s customer base by targeting shoppers directly on Google and Facebook. 2017 is coming to a close, and you know what that means… the holiday season is upon us! Consumers all over the world are gearing up for their respective holidays and, as a result, spending more money on and offline than usual. The National Retail Federation (NRF) expects holiday retail sales in November and December to increase between 3.6-4% for a total of $679B-$682B, up from $656B last year. As an advertiser, you’re likely way ahead of the game, having already begun strategizing your communications to your customers to ensure your brand is top of mind when they hit the stores. Still looking for inspiration? Don’t forget to review the 2017 Holiday Marketing Calendar. Facebook and Google have won the title as today’s digital advertising giants. Why? Because marketers of all industries and regions can now reach out to their customers in a more targeted and personalized way, using the data they already have on their customers. In addition, given that consumers today are spending increasingly more time on their devices and specifically on Google and Facebook, using the platforms to advertise is a no-brainer! 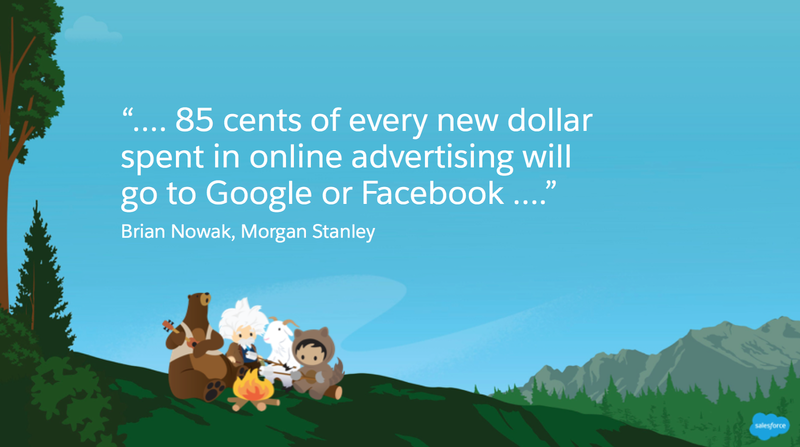 In fact, according to Morgan Stanley, “…85 cents of every new dollar spent in online advertising will go to Google or Facebook…”. 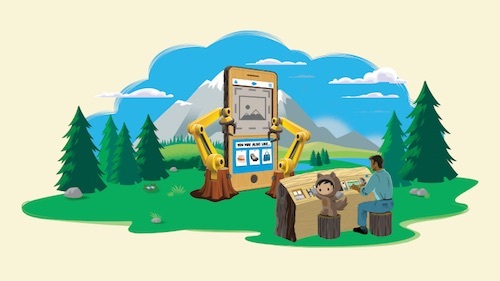 That’s because, per the 2017 Salesforce Connected Shopper Report, shoppers are doing research online before going in-store. But what about those excited holiday shoppers not already aware of your brand? How are you reaching out to them this Christmas season? That’s what I thought — well, listen up! Today, digital advertising makes it easier than ever to win over prospects, simply by using the data you already have of your current, high-value customers to find new, high-value consumers just like them. Google calls these Similar Audiences, through Customer Match. Facebook refers to these as Lookalike Audiences, using Custom Audiences. What do these two fancy terms have in common? Both allow you to use your own CRM data, to create audiences to target across these channels to acquire new customers that look like your brand’s current high-value customers. Google Customer Match allows brands to target ads based on their own customer data, shared with Google, specifically as an email list. Once this data is uploaded to Google, ads can be shown to both existing customers (for the purposes of re-engagement) and also to a similar audience of potential new customers who look similar to an existing group of existing customers. Then, for example, on YouTube, you can use that data about your current customers that you’ve uploaded to reach new audiences, by targeting similar audiences to your most valuable customers. Life Style Sports, Ireland’s largest sports retailer, used Customer Match in a Gmail campaign for Black Friday to both re-engage existing customers and reach potential customers with similar traits. Using Customer Match, Life Style Sports reached out to customers who had made purchases the previous year during the Christmas period and in addition took advantage of similar audiences to expand their reach to potential new customers. As a result, the brand’s Black Friday Gmail campaign achieved a cost-of-sale 75% below their target, with 40% of purchases coming from new customers. As you can see, it’s not just about finding more people who behave like your “best” customers. You can also create similar audiences tied to any customer segment, like Life Style Sports did in the above campaign targeting Christmas season shoppers. If they wanted to acquire new customers in the spring gearing up for warm weather sporting season, they could target customers who purchased hiking, biking, and camping gear last year during a certain time of year. My new customers ‘lookalike’ my old customers. By using your own CRM data (or the people who have liked your page, or visited your website) of your current high-value customers, you can create audience segments on Facebook to target users that look just like those high-value customers, in hopes of them too becoming a fan of your brand. How does it work? Start by identifying a “best customer” segment or find an attractive customer segment using cross-channel data. Then, begin to create your Lookalike Audience, allowing you to target millions of people who are most like your seed audience, based on extensive social graph data including demographics, interests, social connections, and newsfeed activity. Afterwards, you’ll be able to reach, engage, and convert with targeted ads that work natively across mobile and desktop. Then you can even automate and scale by using respondents as the seed for a new lookalike audience. 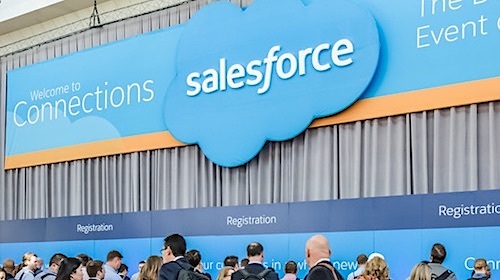 For example, Scotch & Soda, a European retailer brand, and customer of Salesforce Marketing Cloud and Commerce Cloud, used its own CRM data in Salesforce to build Lookalike Audiences in order to acquire new customers that share similar attributes to their existing customers, resulting in increased sales. The brand targeted Facebook ads to the top 1% most similar people to their existing email subscribers. As a result, the fashion brand reached a 3.95 Euro cost per purchase and achieved a 9x return on ad spend. Marketing is just one component of a successful holiday season. For a complete roadmap to Holiday Readiness, including mobile, AI, click and collect and much more, check out the guide below. 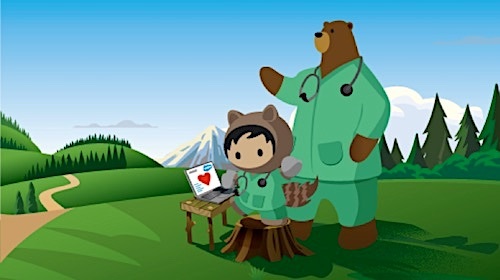 This post first appeared on the Salesforce blog.